Ceiling fans became popular in the 1970s and 1980s, but it may be surprising to hear that they have been around since the 1800s, predating even electricity. The earliest ceiling fans were belt driven and water powered, other models from the 1800s operated on direct current. By the early 1900s the majority of ceiling fans operated on alternating current as they do today. Ceiling fans from this era up until the 1950s are considered antique, and many of them are still in use today. 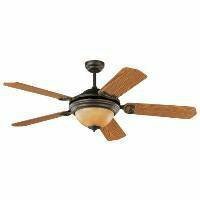 Early ceiling fan brands include Hunter, Emerson, Diehl, Century, Robbins & Myers, Delco, General Electric/GE, Dayton, and Westinghouse. These brands all made popular fans that today are considered antique. If some of these brand names sound familiar, they should. Hunter and Emerson have made ceiling fans since the 1800s and are still making some of the best fans available today. Century and Robbins & Myers' ceiling fan lineups became part of Hunter throughout the years as the result of various buyouts. Westinghouse stopped making ceiling fans over 50 years ago, but recently started licensing their name to ceiling fans again. General Electric no longer makes ceiling fans but they are still very much in business. Dayton is still the house brand of W.W. Grainger and licenses their name to ceiling fans as well. 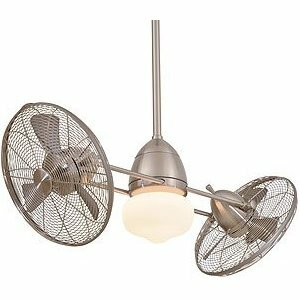 Antique ceiling fans generally used shaded pole motors with an "oil bath" design. These are simple, powerful motors that do not use a capacitor or sealed bearings, and require regular oiling for smooth operation. Most antique ceiling fans included a "speed coil" or, in the case of later fans, had winding taps for 2 or 3 distinct speeds. However most of these fans are compatible with solid state or transformer based speed controls. 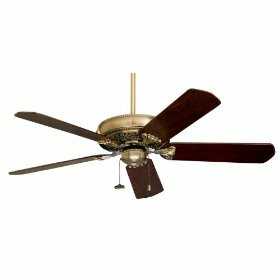 Antique fans generally draw more current than the capacitor-driven ceiling fans of today, but they are also usually more powerful. Most of these fans have cast iron motor construction. The earliest and most valuable antique ceiling fans have solid brass motors, some even more rare models may be made of copper or nickel or the like. These valuable fans are usually very ornate and fancy in design. The earliest ceiling fans had two blades, four very quickly became the most popular with the occasional 6 blade fan. 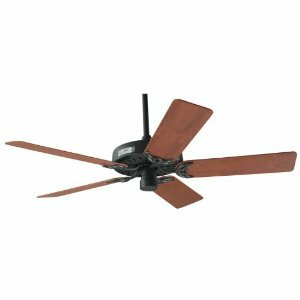 3 and 5 blade fans did not become popular until the 1980s. Blades were usually made of solid wood, with the occasional metal bladed fan. These antique fans mounted with a j-hook and porcelain grommet, and are very very heavy. One of the most common questions asked is, are antique fans still safe for use today? The short answer to that question is, yes they are. As long as the wiring is not frayed, the motor is kept oiled, the windings are still functional, and the fan is safely mounted, antique fans can still be used like any other ceiling fan. If you are purchasing an antique fan you will want to inspect these things, replace any aging wiring, make sure the motor spins freely, clean and oil the bearings, inspect the speed control, etc. If it is within your abilities you may want to varnish the windings or have it done. Make sure you have a proper and secure mounting for the fan. 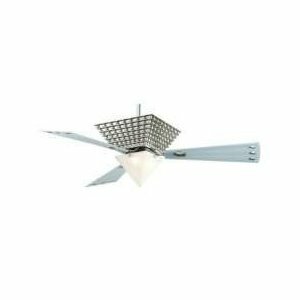 Any antique ceiling fans that are still in operation you will want to similarly expect. 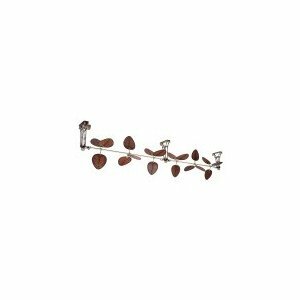 Many ceiling fan manufacturers today sell replicas of early ornate antique ceiling fans. Some examples include the Casablanca 19th Century and Victorian, the Emerson Cornerstone, the Fanimation Bourbon Street, all of the belt drive fans by Woolen Mill Fan Co, the Hunter 1886 Series, etc. Many of these replicas are uncannily accurate. The Casablanca Victorian replicates the Emerson Fernleaf, the 19th Century is near identical to an early direct current Diehl ceiling fan. The Emerson Cornerstone replicates their own CF-1 model, the Hunter 1886 series mirrors the design of one of Hunter's earliest fans. Lastly, many antique fans are popular and still in use besides ceiling fans. These include desk fans (earlier and more valuable models are made of brass), wall fans (often desk and pedestal fans bolted to a wall), floor/pedestal fans (often made of chrome), box and window fans, and so on. For more information, the American Fan Collectors Association has a website.